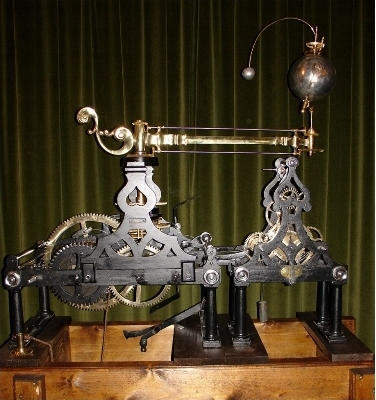 Our mecanisms, tellurions, orreries, or other clocks, are based on clock mecanics, a long-time tradition in the French region Franche-Comté, next to Switzerland. This tradition gives them a special touch appreciated by art and handcraft amateurs. Because of their size (typically 1 cube-meter), and the fact they are entirely handmade, our creations are prestigious. They are dedicated to a demanding clientele, who is keen of luxury objects. 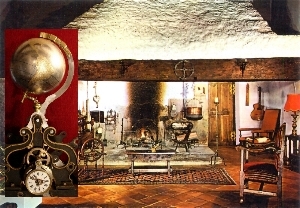 If you own a jewelery, a clock shop or an art gallery, your customers might be interested in purchasing a luxury globe, a tellurion or an orrery. you create a very prestigious ambience.